Saint Patrick’s Day is a special day devoted to the patron saint of Ireland. Although Saint Patrick passed away on March 17, 461, his memory lives on in the form of yearly celebrations that take place throughout the world. Although celebrating Saint Patrick’s Day is mostly reserved for adults, there are many ways that you can get your kiddo involved in exciting festivities this Saint Patty’s Day. 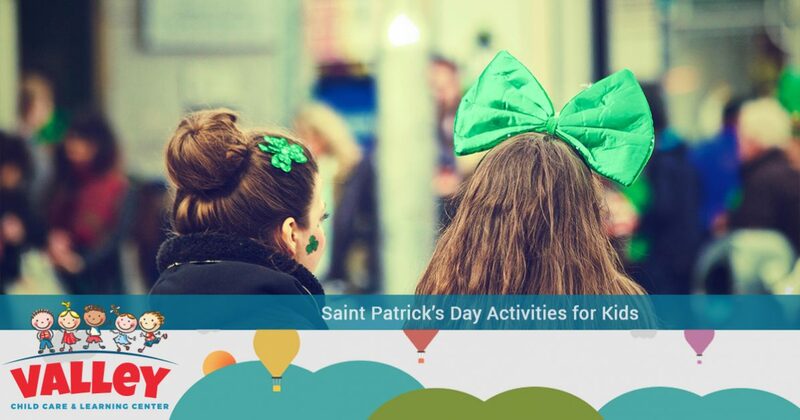 Not only are the Saint Patrick’s Day activities for kids listed below engaging, they are also useful in helping develop your child’s comprehension and motor skills. At Valley Child Care and Learning Centers, we are committed to helping your child flourish in a fun and exciting environment. We know that no two children’s needs are alike, which is why we work hard to accommodate every child that enters our facilities. With 10 different locations throughout the state of Arizona, you can be confident knowing that the highest quality child care services are right around the corner from your home. If you are looking for some of the most fun Saint Patrick’s Day activities for kids, continue reading more on the topic below! If you are looking for sugary sweets to bake on Saint Patrick’s Day, why not get your child involved in the fun? Children love helping their parents cook and bake, as it fills them with a sense of purpose and responsibility. However, to make baking as fun as possible for your little one on Saint Patty’s Day, you can implement fun designs and colors to engage your kiddo during the entire process. To start things off, consider purchasing a few cookie cutters that are shaped like four-leaf clovers! This will give you the chance to tell your child more about the history of Saint Patrick’s day and why it is celebrated every year. By combining your four-leaf clover-shaped cookies with green sprinkles and frosting, you can make a cookie that tastes as good as it looks! Developing your little one’s fine motor skills is essential during the first few years of their life. Activities such as drawing, beading, and even cutting shapes can all help to refine your child’s fine motor skills. For this reason, coloring is one of the most engaging and rewarding activities that your little one can practice while at daycare or at home. There are an endless amount of free Saint Patrick’s Day coloring sheets that can be found online, which your little one will love. In fact, you and your kiddo can look online together, so that he or she can find the most fun coloring sheets to print and complete. However, if you would rather surprise your child with many different coloring options to choose from, you can also visit a nearby store that sells affordable coloring books. A child’s curiosity is fueled by constant mystery, intrigue, and an unfamiliarity of the world around them. This is one of the reasons why games such as hide and seek are so fun for your little one to take part in. However, there are also many other ways that your kiddo can continue fueling their curiosity on their own. If you are looking for one of the most fun activities that is also rewarding for your child, consider creating a scavenger hunt around your home. This can be easily done by hiding gold chocolate coins in different areas of your home that can be found after solving a series of riddles. Not only will your child love finding coin after coin while searching high and low throughout your home, riddles that are fairly easy to solve can also help to stimulate your little one’s critical thinking skills. After your child has completed the scavenger hunt, you and your little one can share the spoils of victory together! Not only is reading essential for developing empathy early on in life, it is also a great way to exercise the brain, day after day. Reading stimulates imagination, and has shown to significantly improve children’s’ comprehension and vocabulary. If you and your little one love to read together, then your child will be ecstatic once you surprise him or her with a new Saint Patrick’s Day book! There are countless Saint Patty’s Day books that are suitable for children, and many of these books work to effectively teach children the history of Saint Patrick’s Day while weaving intriguing storytelling between each page. By pairing an exciting story with colorful visuals, your little one will love being able to spend time with you while learning about interesting facts regarding Saint Patrick’s Day. These are just a few of the countless activities that you can get your child involved in during Saint Patrick’s Day. Whether you end up building an exciting scavenger hunt for your little one, or whether you plan on baking tasty treats with your child, the time spent with loved ones is what many individuals find most important. If you are interested in learning more about Valley Child Care and Learning Centers, or you would simply like to find the best day care services in Chandler, Phoenix, Tempe, Surprise, Anthem, Glendale, and El Mirage, visit our website today! We know that you will be impressed with our full offering of programs and services, which is why we offer free tours of our high-quality facilities. 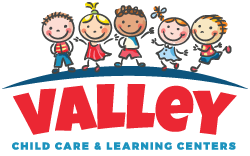 To learn more about all that Valley Child Care and Learning Centers has to offer you and your child, get in touch with our friendly team of professionals today!